Due to a growing skill shortage in certain sectors, nearly 50 percent of the UK employers are likely to face difficulty finding suitable candidates for permanent job positions in 2017, says a recent study by the Recruitment and Employment Confederation (REC). The demand for skilled engineers, teachers, nurses, and chefs may continue to increase; meanwhile new opportunities may open up in some unconventional sectors. If you are looking for a job in 2017, you should know about the following 6 hot & trendy professions in the UK. The UK has a shortfall of more than 1.8million engineers, according to latest statistics from The Royal Academy of Engineering. At present, around 22,000 graduates enter into this profession every year, while the country needs to train an additional 75,000 engineers every year until 2020 to meet the requirements of the industry, says The Royal Academy of Engineering. Opportunities are available in civil, mechanical, automotive, electrical, electronic, bio-medical engineering. After Brexit, many UK firms are looking for seasoned accountants for advice on corporate tax and restructuring. The UK already has a shortage of skilled accountants. Vacancies for accounting jobs saw around 10 percent year-over-year rise last year, says a report by The Association of Professional Staffing Companies. The demand could increase further this year. An accountant earns anywhere between £25,000 and £45,000, per year. The salary range is even higher for corporate accounts, those who specialise in business accounting. If you have excellent maths skills and an eye for details, consider entering into this profession. A data analyst analyses data to identify industry trends and any risks or opportunities for a business. With more and more UK firms looking for ways to securely store, monitor, and analyse their customer data, this profession is highly in demand at present. Entry-level jobs offer an annual salary of around £25,000. With 2-3 years of experience, you can expect £50,000 per annum or even higher. If you are already working in sales, your next career goal could be to become a sales manager. It is also possible to acquire this position directly after graduation. However, you should have excellent academic background and a degree in business administration or related fields to get there directly. Sales managers are highly in demand in the UK, at present. They earn anywhere between £28,000 and £70,000. In addition to excellent selling skills, a sales manager needs good leadership skills, a helpful mentality, or an ability to prioritise the needs of the team members. Software developers work closely with system analysts and project managers to develop, maintain, and improve computer systems of an organisation. They usually need a degree in information technology, software engineering, computer science, or any related subject. 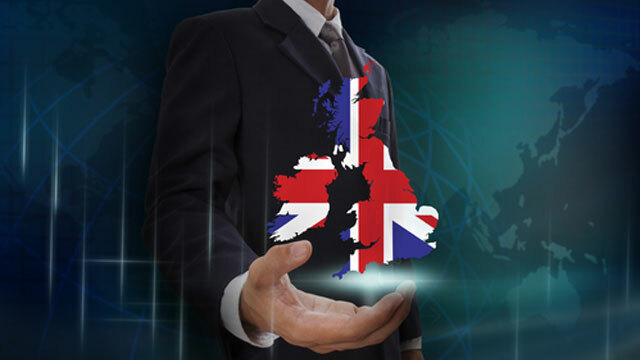 As a software developer, you have huge scope for career development in the UK. You can find high-paying jobs in IT firms, market research firms, retail chain stores, manufacturing companies, banks, law firms, and even in construction companies. Average annual salary is between £30,000 and £60,000. Depending on your skills, qualification, and experience, you can earn even more. One in every 10 nurse positions in the UK remains unfilled, says a recent report by NHS. Also, one in three nurses are approaching their retirement age, and the government should import at least 15,000 nurses from outside the UK to fill the gaps by 2018, estimates the Institute for Employment Studies for the Migration Advisory Committee. The government will scrape the bursary scheme from August 2017, which could help provide around 10,000 additional nursing training places by 2020. If you are planning a career in nursing, you are definitely on the right track. To enter into this profession, you need a three or four-year degree in nursing, and a passion for helping others. Job opportunities are available in hospitals, NHS trusts, schools, prisons, and health centres. With experience, you can earn up to £45,000 or higher per year. In addition to the above list, business analysts, financial managers, marketing managers, technical architects, and HR managers have promising career prospects in the UK in coming years.